A “wall” of brown sugar? Sounds like heaven. I love your way with words. 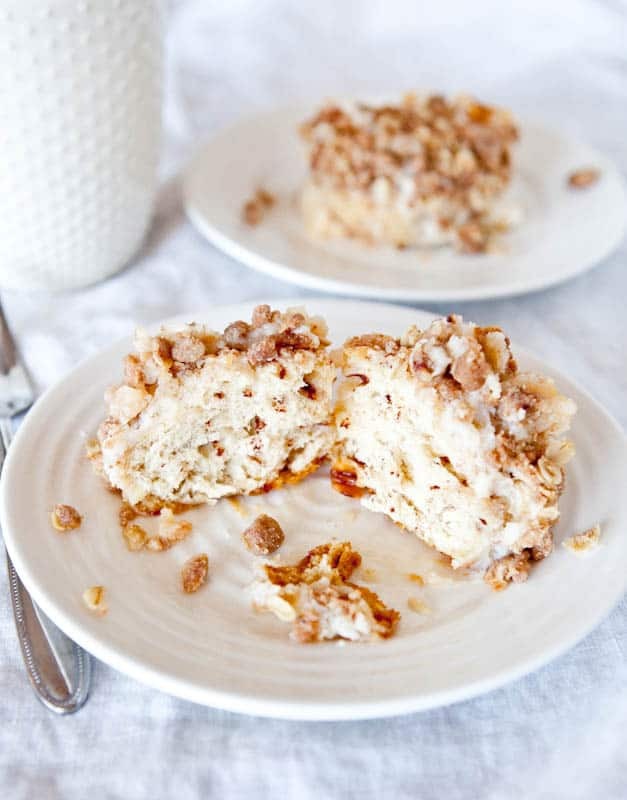 Streusel topping and cream cheese glaze can each hold their own–but together on a cake…is a match made in heaven! 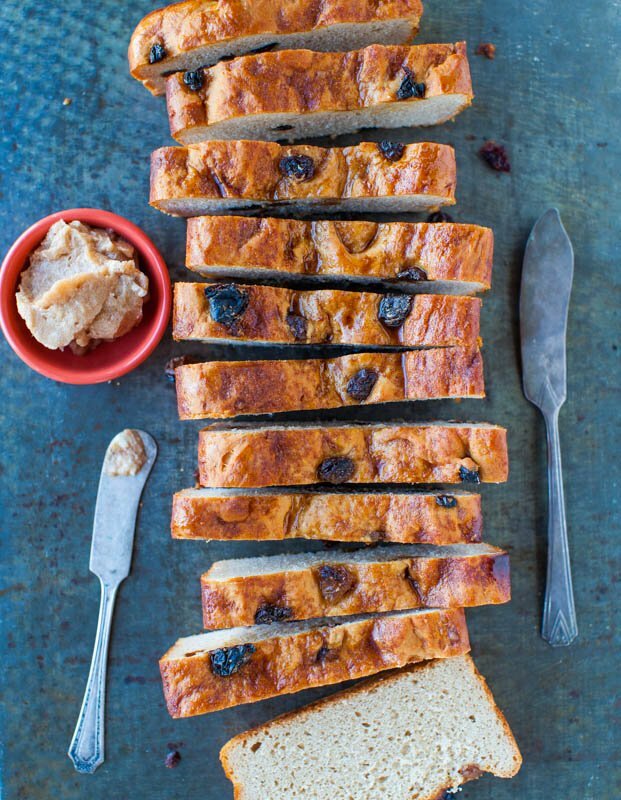 I’d be more than willing to pull out my Vietnamese cinnamon for this recipe! 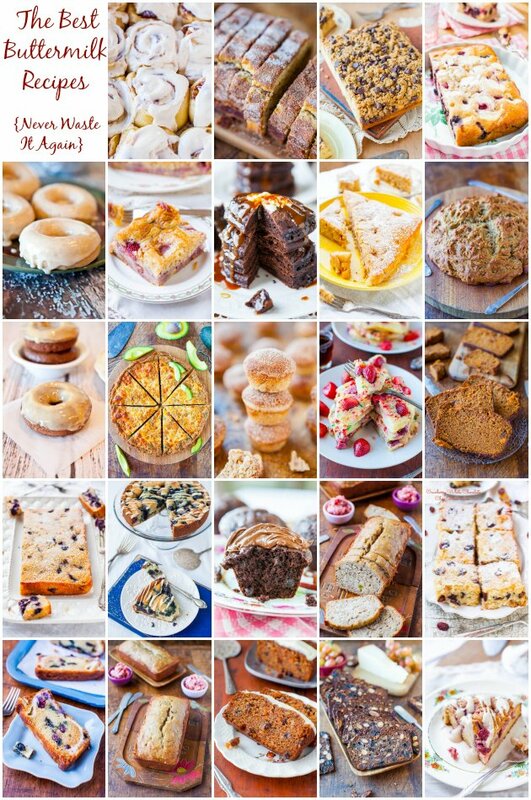 Such a lovely recipe collection of coffee cakes–everything always looks so incredibly tempting. 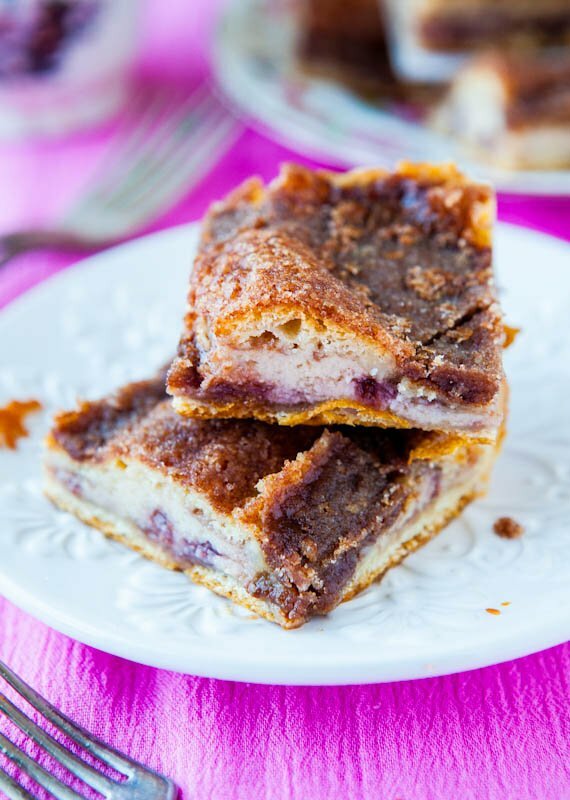 Vietnamese cinnamon – I don’t know why I didn’t think to use mine! I guess b/c I reserve it for highly prized creations (to the point I forget to use it – like breaking out a super special perfume..ha!) but it would be great in this! Mmm so fabulous. 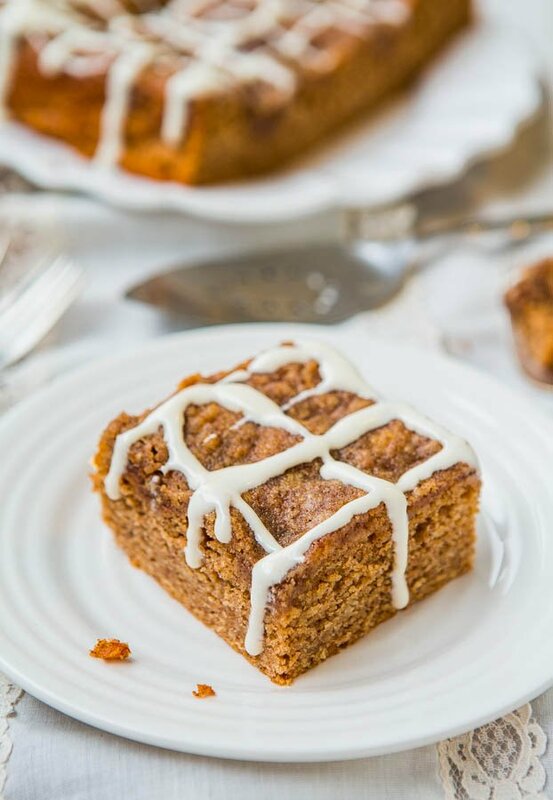 Coffee cake is seriously one of my favorite treats!! And this cake looks incredible! Love your trifecta of tricks. Like Ellen, I love your way with words! 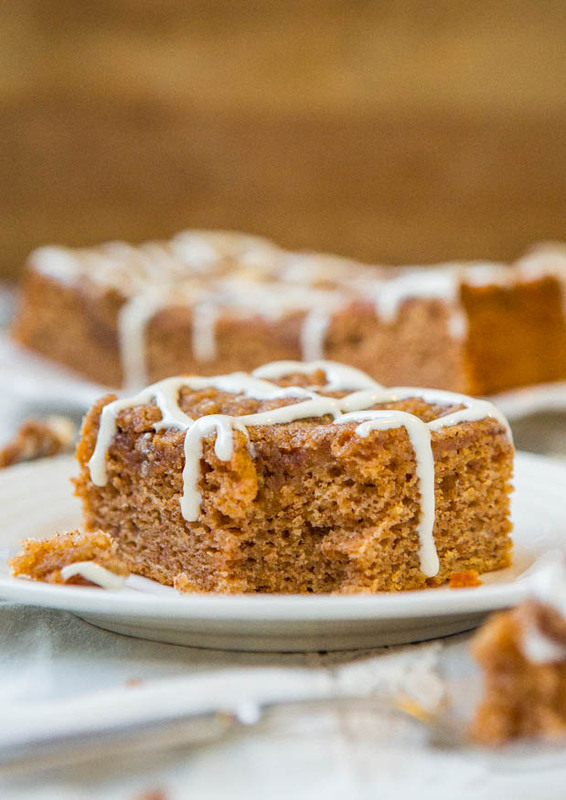 I can only imagine how ah-may-zing your house smelled while this baked with that brown sugar topping! 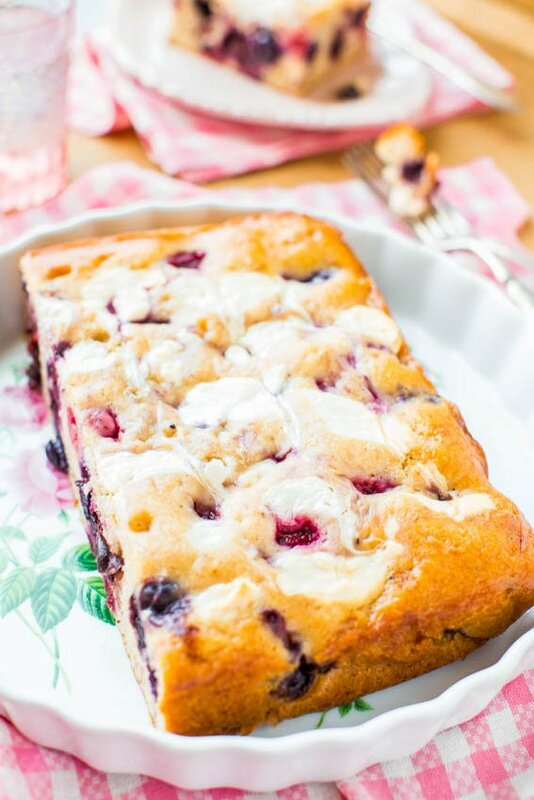 I love the addition of Greek yogurt…and that vanilla cream cheese glaze? That is the way to a woman’s heart. Girl, this is all kinda fab-you-freaking-lous! This smelled SO Good while baking! You are so right about that! brown sugar, then cinnamon sugar then vanilla glaze! Wow, i mean what more could you ask for in a cake! i love it! 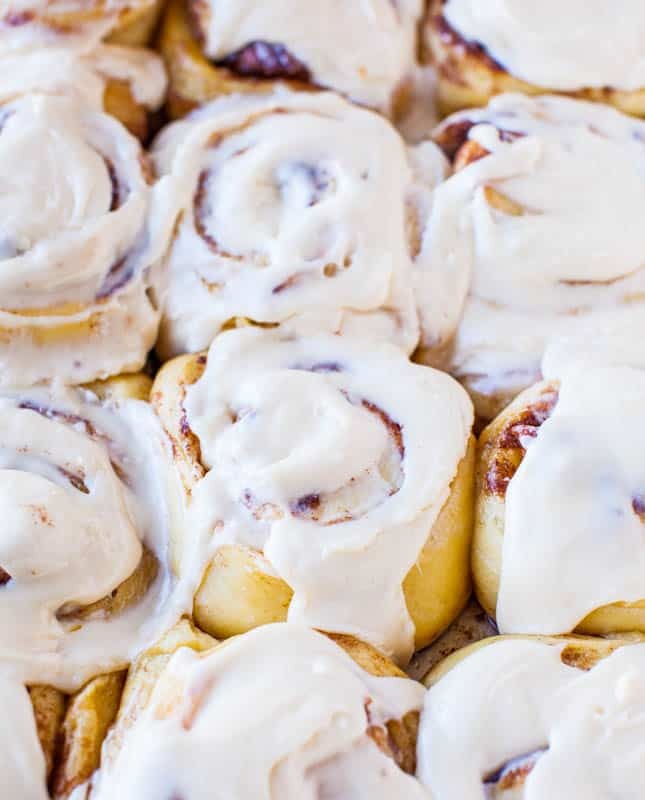 Now all I want for breakfast is some cinnamon-sugar, brown sugar streusel topping, vanilla anything, and cream cheese glaze. 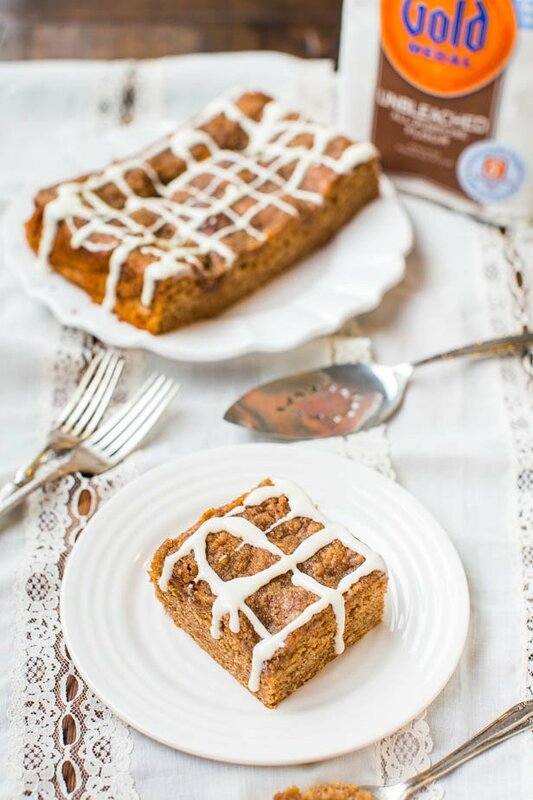 ;) This coffee cake looks incredible Averie and combines some of my favorite flavors! 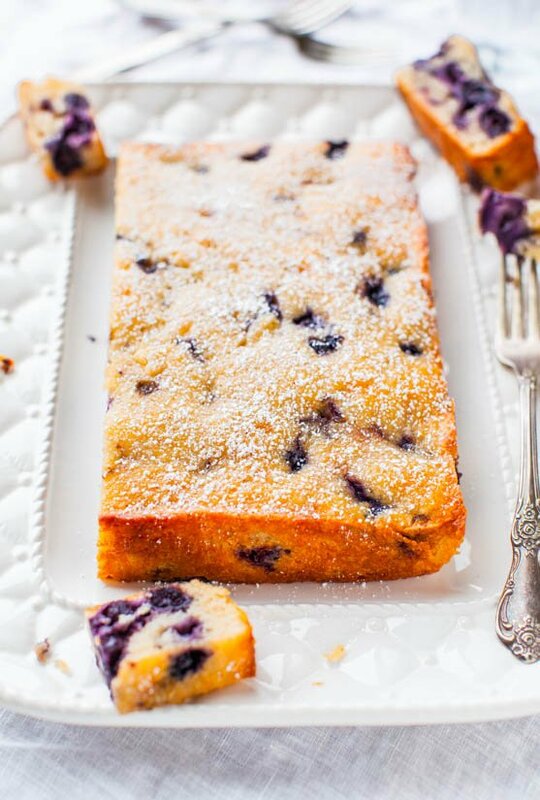 Buttermilk AND greek yogurt in the cake – I can literally see how moist it is. Perfect. Love it. 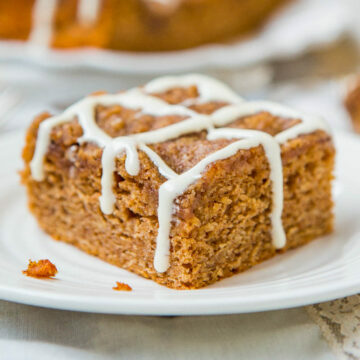 Cinnamon toast was one of my favorite childhood breakfasts, and I love the idea of turning it into an (easy) grown up cake. Entemann’s better watch out! 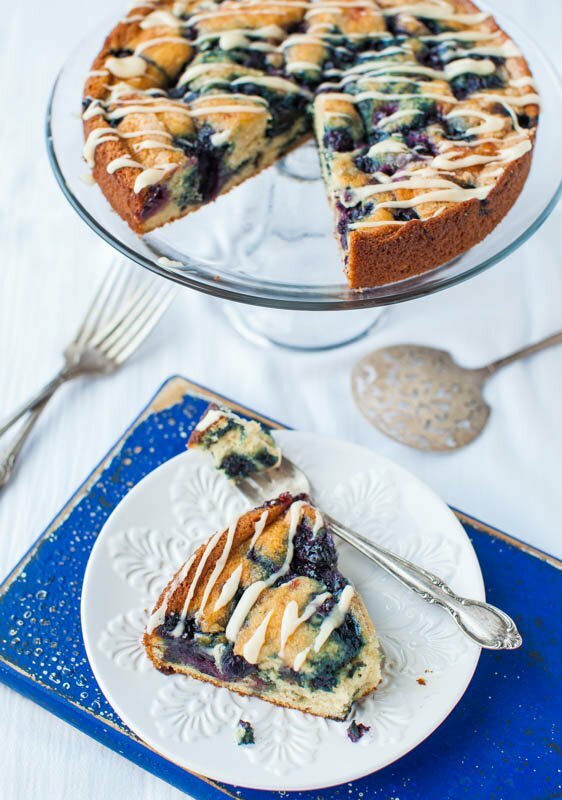 Love me a good coffee cake — and this one looks EPIC! Love all of your little tips to make it extra wonderful! 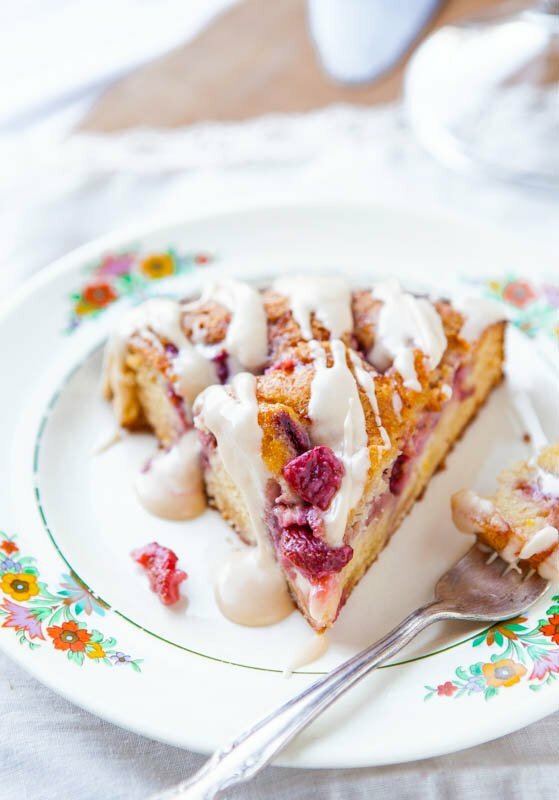 Can I have a slice of this for my breakfast in bed cake? I like where your head is at on that one!! 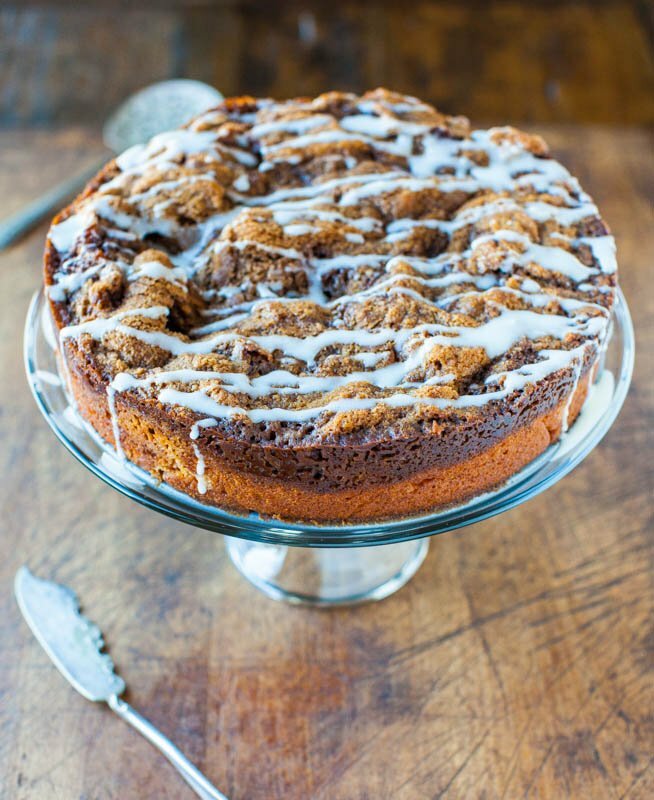 i can’t pass up a good coffee cake! Averie, this is the moistest-looking coffee cake I have seen in a LONG time. 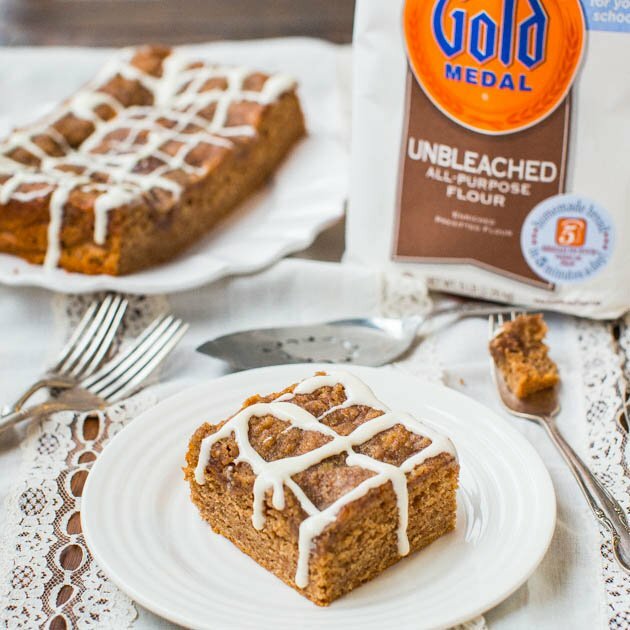 Probably since your last coffee cake recipe! 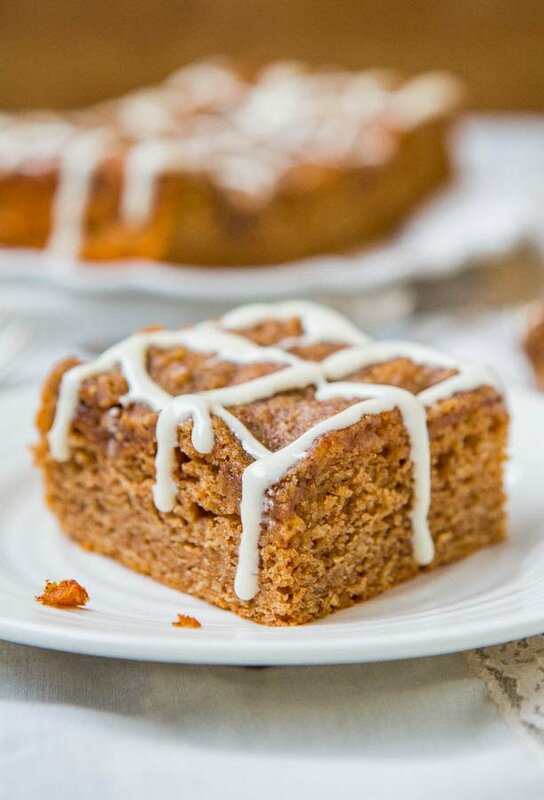 I love a good cinnamon coffee cake, and that vanilla cream cheese glaze?? I could literally drink it. Yum. Thanks for pinning and your sweet words! Anytime you start tinkering with a recipe and deviating from how it was written, i.e. doubling it, baking it smaller pan sizes or different pan sizes, there is always room for error and yes this batter rises like a champ and not surprised it overflowed small pans. Like you said, baking is a learning experience. 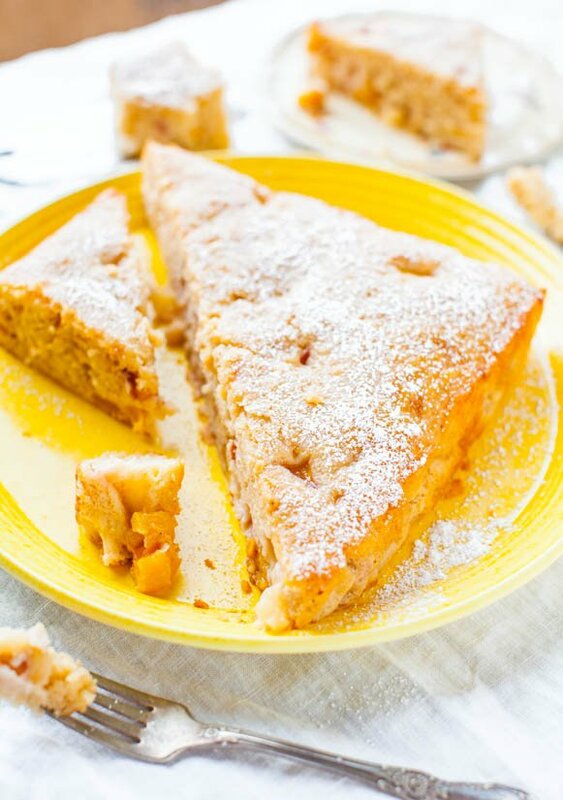 If you make the recipe as written and don’t change a thing (just do what I did) I know it works, and works well – since I adapted this cake base from like 4 other previous cake bases – and it’s a keeper. I just added the streusel-ey bits this time but the overall base is pretty much the same as prior efforts. I know what it’s like to want something that you envision in your head though! Oh, it works….I agree. I won’t tell you how many of those “little cakes” I had for lunch ;-) ……oh-my-not-so-overly-sweet-brown-sugary-goodness! You’re right, this is a keeper. I’ll save the little pans for something a bit more dense & keep this recipe to a standard pan. You’re right, this one’s a keeper. I can’t wait to share it with others. Keep up the good work. Love your blog. 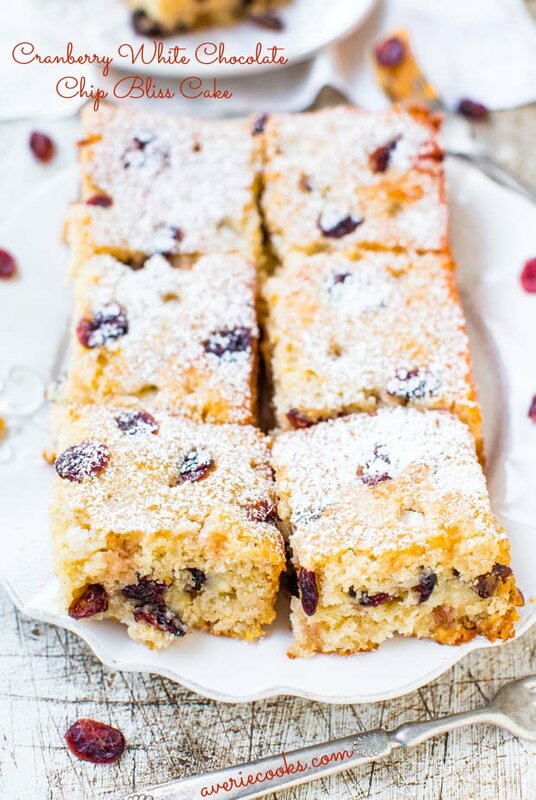 I baked these as mini loaves, filling each halfway with batter, and had absolutely no problem. Oh that’s great to hear! Thanks for sharing! 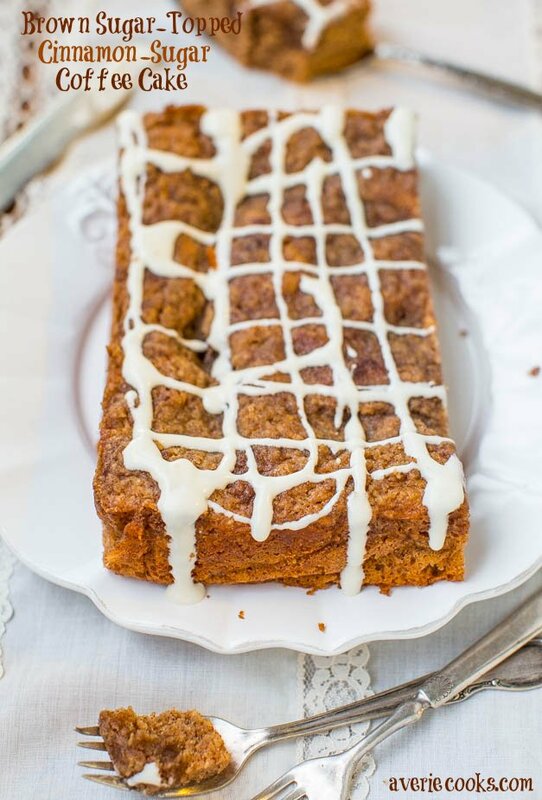 I love a good moist coffee cake! This one sounds amazing! 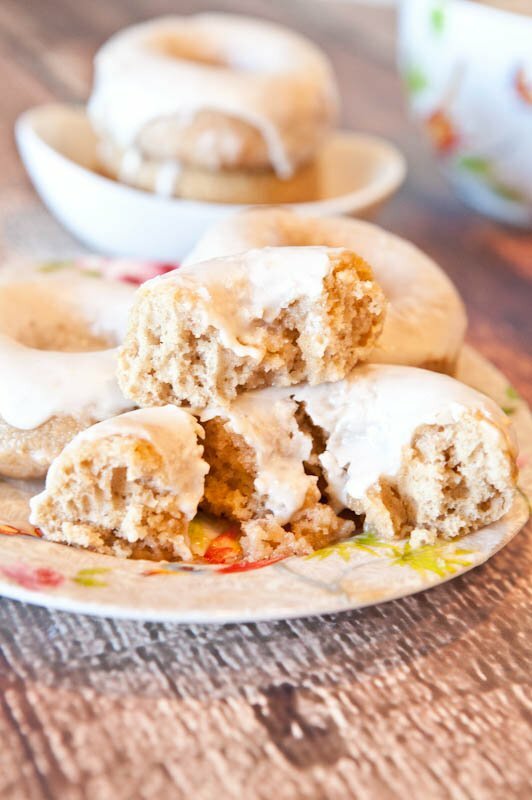 How did you know that a cream cheese glaze is my ULTIMATE weakness?! What a lovely cake, Averie! The glaze sounds perfect! Pinned! What a pretty cake! Pinning to try soon! 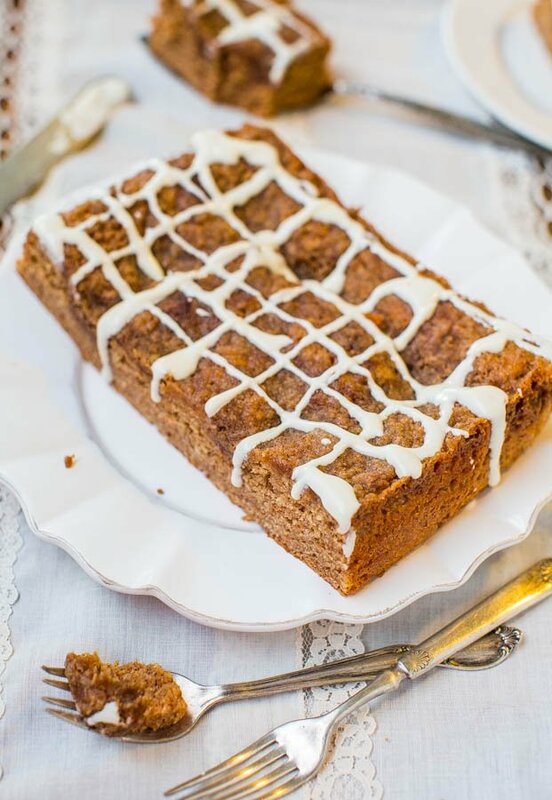 You know I love cinnamon – wish I had a slice of this cake with my afternoon coffee. Pinned! I know you love it, yes indeed! 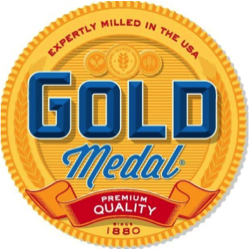 And thanks for pinning!